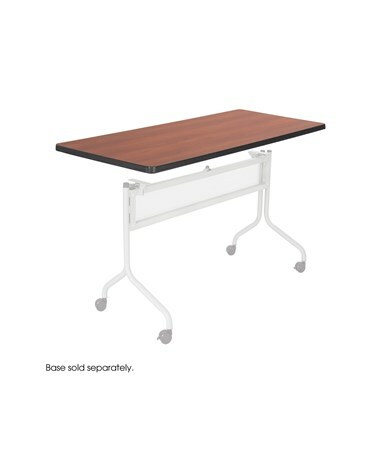 The Safco Impromptu Mobile Training Table Rectangle Top is a 24-inch deep table top with a rectangular shape. 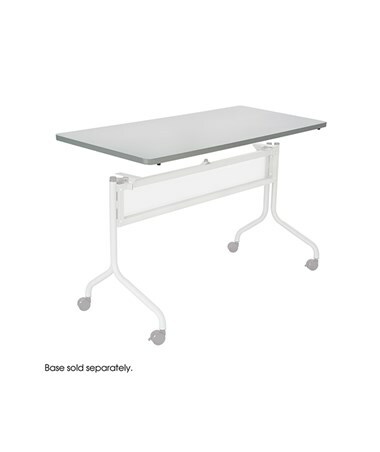 It is a tough and stylish replacement for any table base and perfectly complements Impromptu line of products. It features a vinyl edge band for added style and safety and a ganging design that makes it easy to connect and nest with each other. This tabletop is a one-inch laminated furniture grade particleboard. It meets ANSI/BIFMA safety standards and is GREENGUARD certified for chemical emissions. 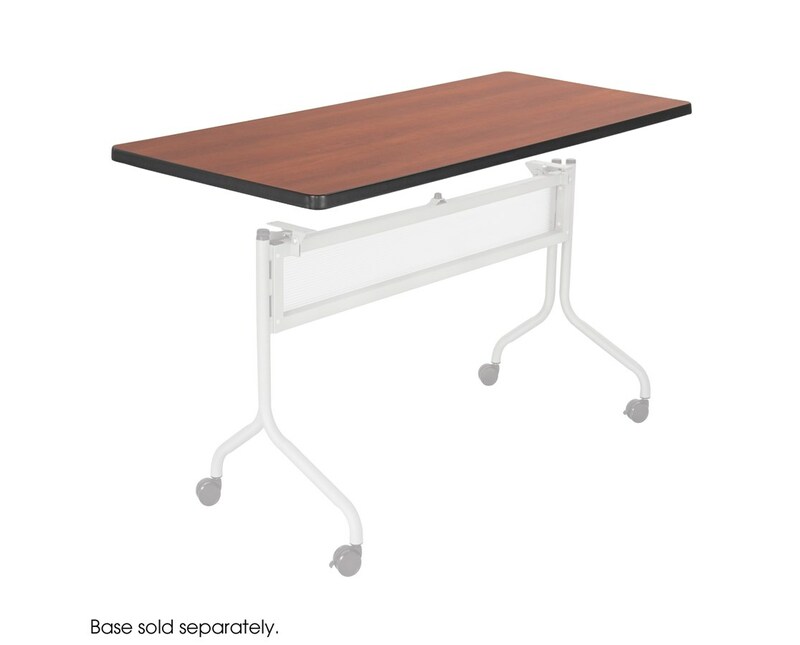 The Safco Impromptu Mobile Training Table Rectangle Top is available in different widths and colors. Please select your preference from the drop-down menus above. Width: 48", 60", or 72"